A foodie’s haven bound to tantalize all the senses at once, Westfield Marion’s brand spanking new food mall surpasses expectations with an abundant array of new food vendors and gourmet stores that are now a part of the Marion family. 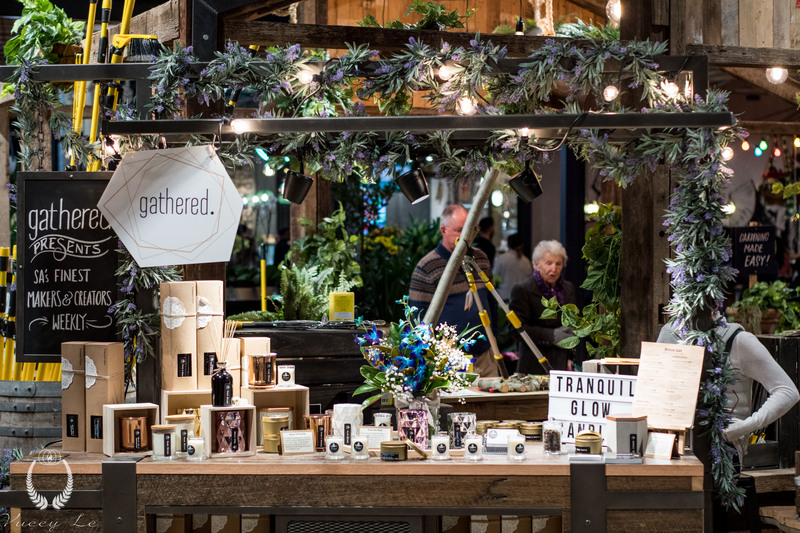 What was once an old dreary parking lot has now been transformed into a vibrant market space that boasts freshness, goodness and above all – quality. Marion’s VIP media launch saw Adelaide’s passionate foodies and influencers celebrate ‘the love of food’. Freshness is the centre of Marion’s philosophy, embraced throughout their new food choices that set it apart from other Westfield centres. Delicious tapas style shared plates from Euro fusion eatery Panacea got our appetites going, with drool worthy Potato Bombs in a romesco sauce, Spanish White Anchovies and Portebello Mushrooms roasted with thyme. It is with great excitement to see Panacea venture to Marion, with their first establishment in Halifax Street winning the hearts (and tummy’s) of many for quite some time now. La Madeleine on the Parade in Norwood have opened their second venue in Marion’s food mall where you can find all things French. Think crepes, warm French onion soup, cheesy croque monsieur’s, freshly made pastries and quality coffee. We were lucky enough to taste test some of their dessert options – I highly recommend the pistachio and raspberry croissant and pear tart. Paired with dark chocolate, fresh fruit, lavosh crackers and crusty bread, we trialed some of The Cheesemonger’s finest cheeses like creamy Camembert, a bitey Swiss and a hearty Edam that was incredibly addictive. The Cheesemonger are a renowned small goods business specialising in local and international gourmet products with various locations around Adelaide. Apart from cheese, they also sell an indulgent selection of continental meats, fragrant coffee beans and many other snacks like locally produced olives, pickled seafood and even a roulade of mozzarella and prosciutto – you can’t get any more European than that. For those that like things a little more spicy, step into the world of Viet Nam Quan, an exotic mix of Vietnamese street foods that made an impression by the mere presentation of the dishes that flowed throughout the evening. 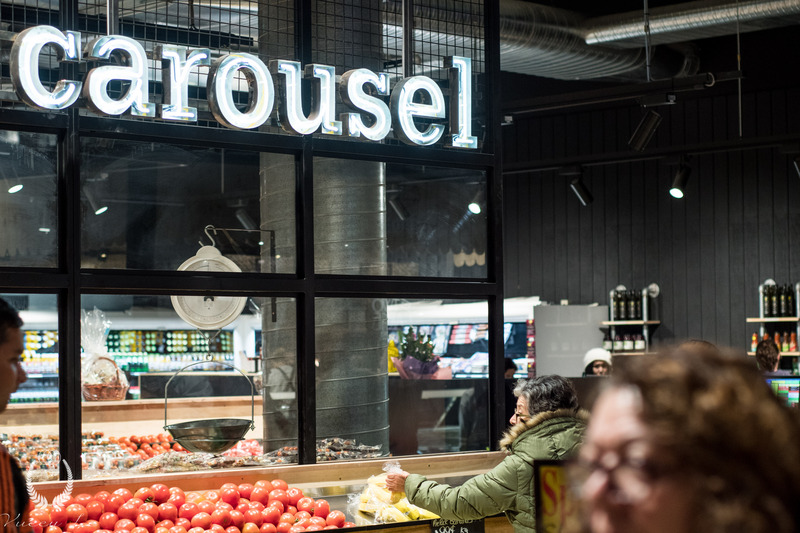 A mix of new and returning retailers such as Hokopo, Warong, Lau Peking – a bustling Asian green grocer, ALDI, Carousel Fruit Barn, Manuel’s Seafood, Creative Poultry and Springfield Butcher have nestled into Marion’s new space also. With a list like this, I can definitely see many dinner parties happening. As we grazed on a combo of tasty savoury and sweet options, Steve the Bartender mixed up some refreshing fruity cocktails to suit the relaxed yet sophisticated vibe of the evening. Artist Azzuro entertained us in the background as he painted away to create an eye-catching mural that had passersby looking in awe. Special guest speakers gave us an insight into their master classes that have been an exciting aspect of Marion’s new expansion. 2015 Masterchef contestant Jesse Spiby says her new catering business Jesse Does Food is inspired by her love for graphic design that has been a big part of her food journey. My Kitchen Rules contestants Paige and Rosie and Bree May from the 2014 season also let us in on their latest food ventures and specialist cheese maker Kris Lloyd of Woodside Cheese Wrights guided us through some of the cheeses we trialed on the night. Do yourselves a favour and head down to Westfield Marion for a foodie adventure unlike any other. Dine-in, take-away or browse through the bountiful products that offer a little something for everyone.